THE INAUGURAL Inland Rail Conference at Parkes last week pulled a crowd of around 400 people as construction of the project nears kick-off in and near the central New South Wales town. Delegates at the conference have come away feeling confident about the project as a whole, but aware that the Queensland Government is still wrangling with alignment and investment issues tied to getting a line from the NSW border to the Port of Brisbane. The conference was an initiative of the Australian Logistics Council (ALC) and the Australasian Railway Association (ARA), with support from the Australian Rail Track Corporation (ARTC) as well as the Parkes Shire Council. Unofficial reports from the conference said uncertainty surrounding Queensland sections of Inland Rail drew criticism from Port of Brisbane’s chief operating officer, Peter Keyte, and Toowoomba Regional Council mayor, Paul Antonio, and not for the first time. ARTC Inland Rail CEO, Richard Wankmuller, also saw the chain dragging in the north, where he said an Inter-Governmental Agreement was needed to bring Queensland into line with Victoria and NSW. “Queensland needs to get on board and we need to get moving. We need an IGA in place and the benefits can start to flow in Queensland,” Mr Wankmuller said. Issues for the Queensland leg include a Public-Private Partnership to fund construction of a new alignment through the Great Dividing Range in Toowoomba, a decision about the line’s route from the NSW border, and access to the Port of Brisbane. 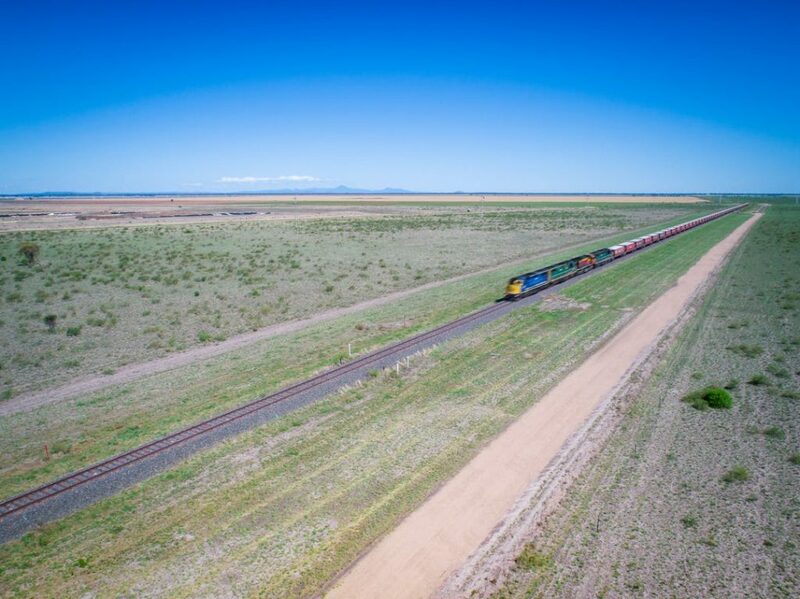 “Although the port connections are important, the business case for Inland Rail does not rely on them,” Mr Wankmuller said. ARTC signed IGAs with the Victorian and NSW governments earlier this year and, pending final NSW and Federal government approvals, the Parkes-to-Narromine leg is this year set to become the first of 13 Inland Rail sub-projects to commence construction. Last week, the Victorian Government announced its Freight Victoria plan, which supports aspects of Inland Rail, including the building of the Western Interstate Freight Terminal at Truganina, near the Port of Melbourne. A joint statement from ALC and ARA said one of the key messages of the conference was that the Melbourne-Brisbane transit time of less than 24 hours had to be achieved and adhered to. “An absence of reliability and certainty will undermine market confidence,” it said. Mr Wankmuller said the 24-hour transit time was essential to achieve from the project, which is due to be completed in 2025. “It not only has to be connected, but it has to be very fast. We have to shave at least 10 hours off the time and get it down to 24 hours or less. While some criticisms were made of the planning and approvals process, the ALC and ARA statement said the overwhelming mood of the conference was one of enthusiasm and collaboration, and the need to embrace communities along the 1700-kilometre route. “The response to this first industry-led conference focussed entirely on Inland Rail was phenomenal, and shows that industry participants are eager to work cooperatively with governments to deliver this transformation for Australia’s freight networks in the years ahead. ARTC’s projections have said Inland Rail will take 200,000 truck movements off the road annually. Inland Rail will also form a central part of the National Freight and Supply Chain Strategy that is currently being developed by the Federal Government. Following the success of this inaugural event, ALC and the ARA are looking at staging the next Inland Rail Conference in Toowoomba in mid-2019. The Queensland Government, Paul Antonio and Peter Keyte were not available to comment. My name is Leisa Dobson. l live in Hillcrest, 20m from the track. ARTC:We have no trees, no sound barriers, no protection of any sort, smelly black stinking diesel all over everything, noise, vibration, and the freight trains are not a pretty site. Nobody has had the decency to contact the 50,000 residents about their intentions. Everything we have worked for will be worth nothing, our lifestyle will change forever. How can something this big ignore the people who pay the taxes that are being used for this project? What’s going on? l can’t believe we have not been formally informed. It’s a disgrace and so sad that we just don’t matter.